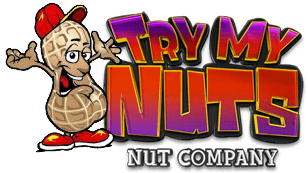 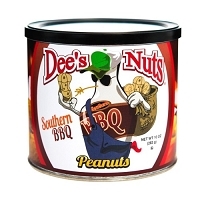 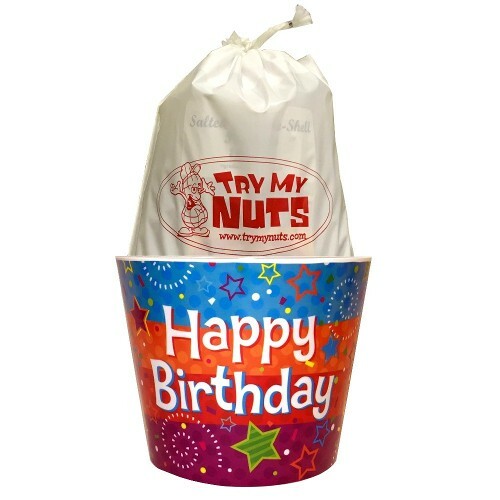 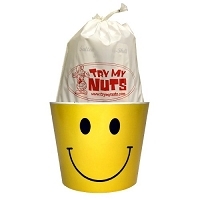 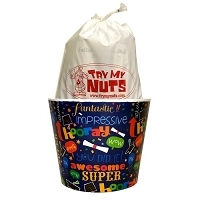 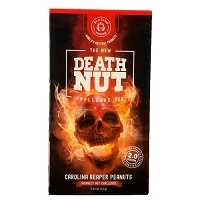 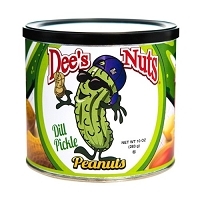 The Birthday Nut Bucket is packed with a 2 lb bag of Virginia Peanuts in the shell. 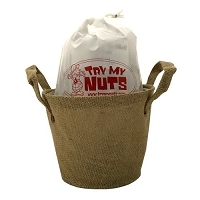 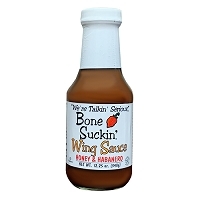 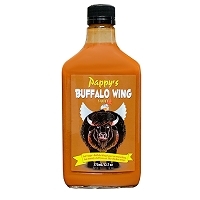 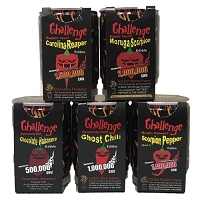 Choose between cajun, salted or unsalted. 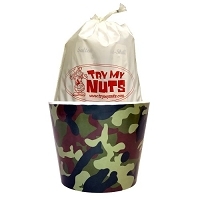 The bucket can be used for the shells or even a planter once the nuts are gone.